Some arsonists have been arrested by Fier Police because some fireplaces during the last 24 hours. Oculus News souces reveal that three people are arrested in the village of Kreshpan, where they cleaned their olive groves by puting fire on shrubs. While flames have come out of control because of the strong wind, burning thus 99 olive trees. 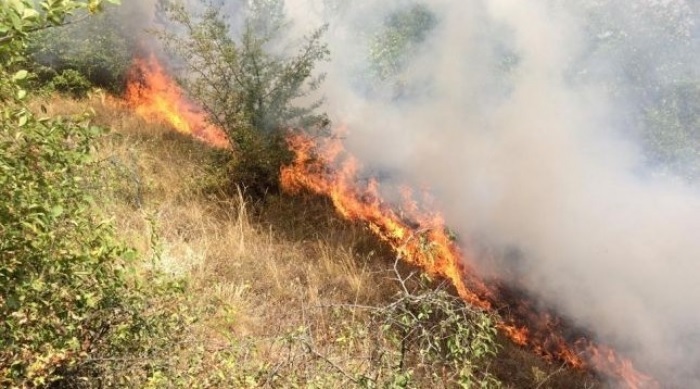 Another person was arrested in the village of Darzesi, after laid fire on the reed near his house at a drainage channel. The strong wind has caused the fire to spread on a pine forest. While in Dukas and Patos, two people were arrested, after are cought burning shrubs, they have burnt 60 olive trees owned by their two friends from the village.